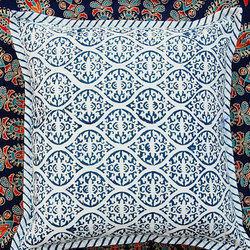 Pioneers in the industry, we offer flower print cushion cover, zigzag printed cushion cover, block printed cushion cover, cotton canvas cushion cover, canvas block printed cushion cover and printed cotton cushion cover from India. 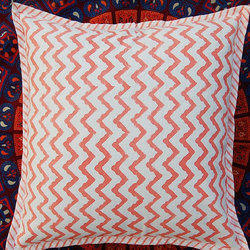 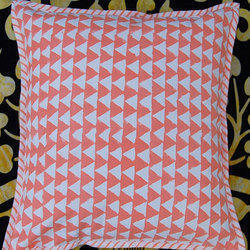 Hand Block Printed Canvas cushion cover. We make in this pure cotton. 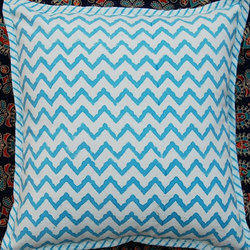 our moto Clints satisfucations. 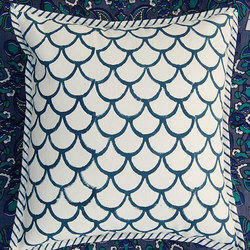 we are mfg. 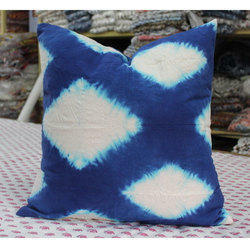 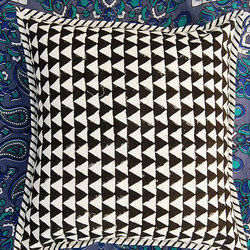 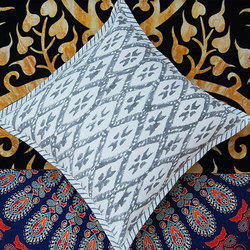 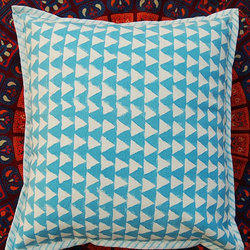 Make your Home look more Trendy with this Indigo Hand Block Print Cushion Cover. 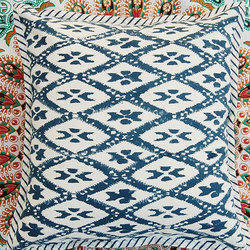 The versatility of this gorgeous pillow is limitless. 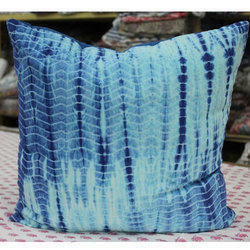 Bring out the creative in you and make the best of this stunning piece. 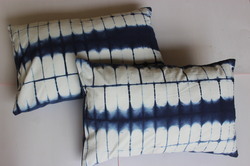 You can place them in Bed room, Living room or even use them for decoration in your house. 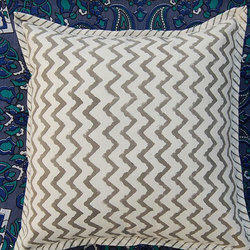 The back of the Pillow is of the same print as the front . 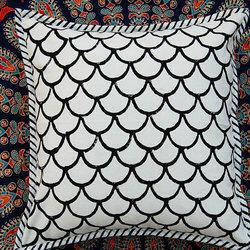 We are manufacturer, exporter, supplier of cushion covers. 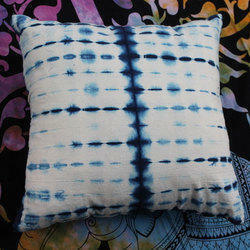 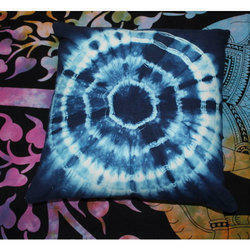 Make your Home look more Trendy with these Sibori Tie Dye Cushion Cover. 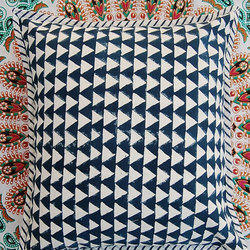 The versatility of this gorgeous pillow is limitless. 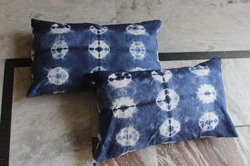 You can place them in Bed room, Living room or even use them for decoration in your house. 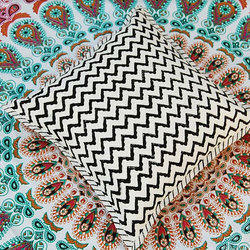 To offer best quality products to our patrons, we are actively engaged in offering our clients a wide range of Designer Pillow Cover. 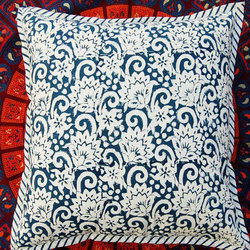 Furthermore, these offered covers are provided with us in various vibrant colors and pattern to suit to the ever changing demands of our respected clients at very affordable rates. 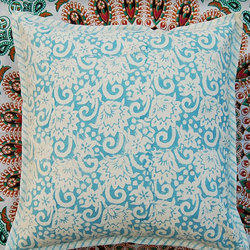 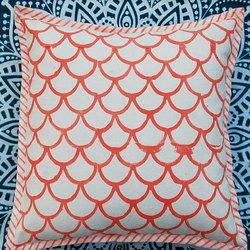 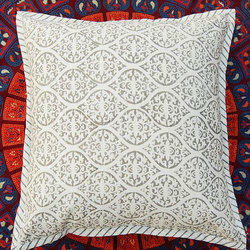 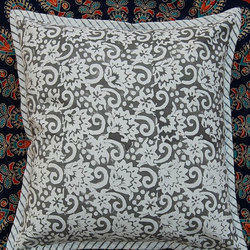 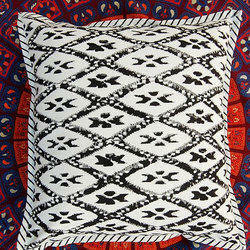 Looking for Block Print Cushion Cover ?